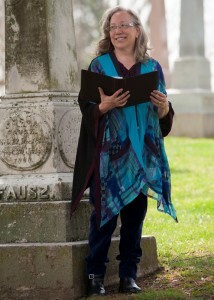 Welcome to my Life-Cycle Celebrant practice serving as a Funeral Officiant in the Cincinnati Tristate Area. I know that if you have found my website you are seeking help in a very difficult time of your life, but I also know that you are looking for a very special ceremony, either for yourself or a loved one. You have my assurance that the process of writing this ceremony will be as smooth and stress free as possible, the service that we co-create will be the very best and it will be delivered with compassion, warmth and professionalism. This work is profoundly moving and I am grateful to be able to make a contribution to other’s lives in such a meaningful way. I consider it an honor to collect the stories of a life time, to pick up the multicolored threads of a person’s legacy and weave a beautiful picture that holds the light of memory to the passage of one being through life. I am amazed anew with each ceremony that I do at the power of Ceremony to transform pain, heal emotional & spiritual wounds, honor and celebrate life’s passages, relationships, struggles and victories. There is path through grief and it starts with ceremony. 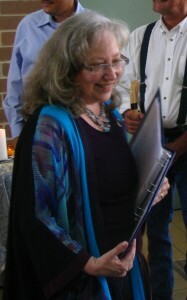 My training as a Life Cycle Celebrant has prepared me for all types of ceremonies and services. I have an expertise in creating ceremonies in any tradition or culture, whether they are religious, secular, spiritual, non-denominational or interfaith. The Celebrant mission of creating custom, personalized ceremonies that reflects the values and culture of the client strikes a true chord in my very being. The process begins with an email, please contact me.